Hey you guys! I'm in Edinburgh now. It's so beautiful here. I hit topshop straight away and I bought two nail polishes and a pair of rings. Whaddya think? I have to go down for dinner and then I'm hitting the town with my bro and some of his mates to catch a bit of the 'burgh night life. I'll email you guys soon for a time to meet up and the rest of you thanks so much for entering. I might have another one for when I reach 75 some day. 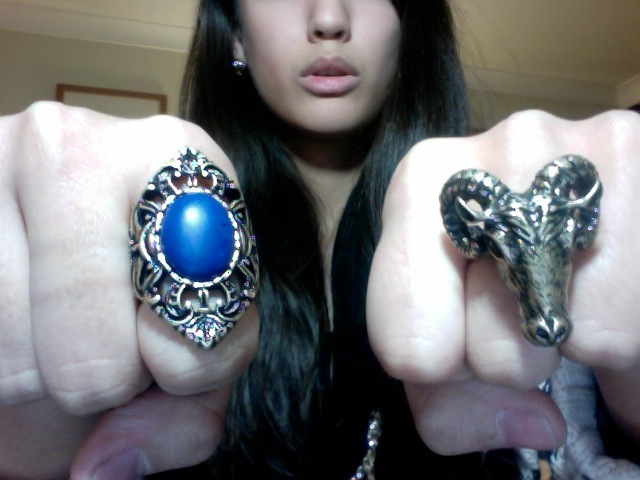 Great rings :) I am so happy thank you! That is so not fair, enjoy your trip! 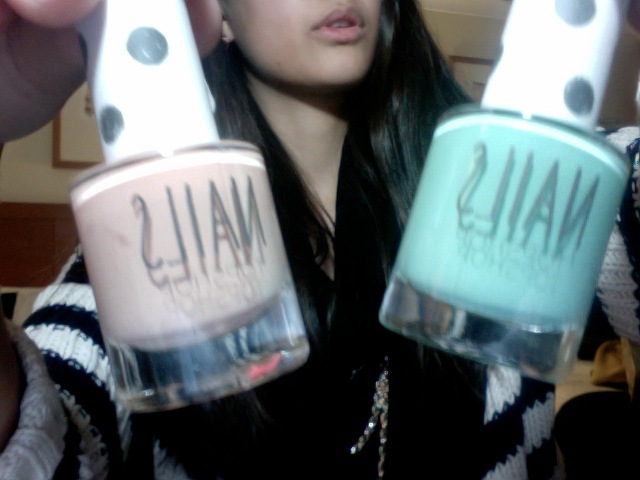 :-) The nail polishes are gorgeous!